La Virgen María en Medjugorje, 2 de agosto de 2011. 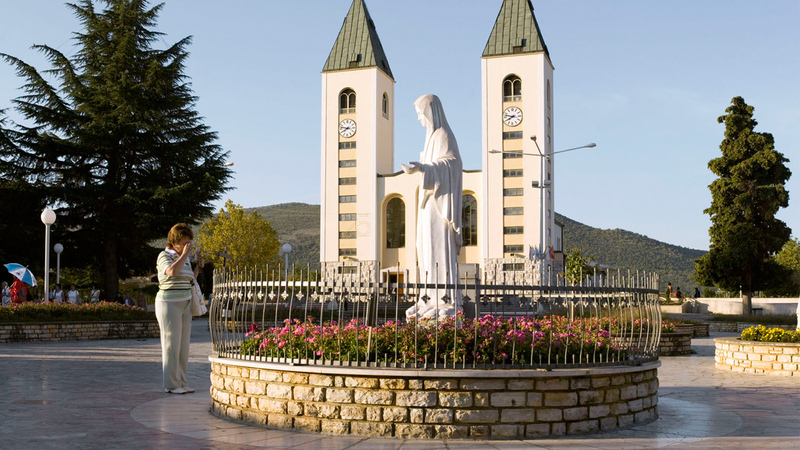 This site is the property of the association « Maranatha Medjugorje ». In accordance with the laws governing intellectual property, the reproduction or use of the elements found on this website, in whole or in part, is strictly prohibited. Only legal exceptions are maintained, including representation within the family circle, private copying or the right of short quotation. Thus, all texts, photos, logos, trademarks and other elements reproduced on this site are reserved and protected by intellectual property law. (Copyright, neighbouring right, trademark law...). Any total or partial representation of this site by any means whatsoever, without the express authorization of the website operator is prohibited and would constitute an infringement punishable by articles L 335-2 and following of the Intellectual Property Code. The same applies to any databases on the website which are protected by the provisions of the law of 11 July 1998 transposing into the Intellectual Property Code (IPC) the European Directive of 11 March 1996 on the legal protection of databases. The association « Maranatha Medjugorje » undertakes to keep confidential the personal data provided by the user of the site and not to transfer them to other companies or organizations. The association « Maranatha Medjugorje » undertakes to ensure that any person who so requests has the right to access, rectify and delete data concerning him/her. - right to limit processing: any natural person may request that the processing of his/her data be limited. By exercising this right, the natural person forces the company to store its data without using it. This right can only be asserted if the processing is unlawful and/or if the information collected is inaccurate. - right to be forgetten: any natural person has the possibility to obtain the deletion of all data concerning him/her. - right of access: every natural person has the right to obtain confirmation of the status of his data (is it or is it not processed?) and a copy of his data. - right to communication of a violation of personal data: this right obliges the controller to inform the natural person whose data have been violated. The association « Maranatha Medjugorje » declines all responsibility for any difficulties encountered when accessing its site or for any communication failure. The association « Maranatha Medjugorje » reserves the right to modify, temporarily or permanently interrupt all or part of the site, without notice. The association « Maranatha Medjugorje » can under no circumstances be held responsible against you or a third party for any modification, interruption or suspension of the site. You are free to establish links to this site as long as they do not damage the image of its publisher. You are allowed to establish links to the pages of the site in the format: html, php, xml. The practice of framing is prohibited, as is any other practice or technique likely to cause confusion in the public's mind. The Site is designed for access from computers or mobile devices connected to the Internet (hereinafter referred to as "computer terminals") and having a modern Internet browser. 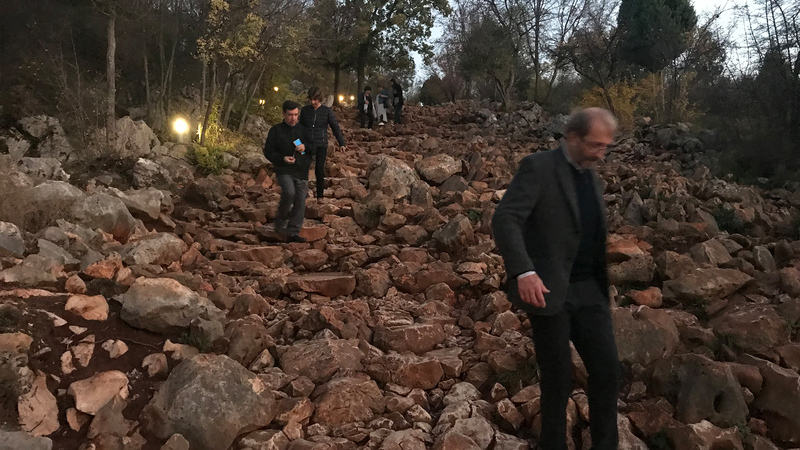 The association « Maranatha Medjugorje » does its best to ensure that navigation on the Site is without incident but there is no obligation of result with regard to the technical accessibility of the Site. Nor can we guarantee that the server hosting the Site is free of viruses or other malicious software (malware) circulating on the Internet network. Any downloading from our Site is at the User's own risk and the User must equip his computer terminal with anti-virus and/or anti-malware software adapted to Internet browsing and implement the necessary measures to protect his terminal (data and software). The User may not hold the association « Maranatha Medjugorje » liable for any direct or indirect damage related to the use of the Site. En Internet Explorer: menú "Herramientas> Opciones de Internet". Haga clic en "Privacidad" y elija "Bloquear todas las cookies”. Validar en "OK"
En “Chrome”: menú "Herramientas". Haga clic en "Borrar datos de navegación" y elija "Eliminar cookies y otros datos de sitios y formatos completados”. Confirme con "Borrar datos de navegación".